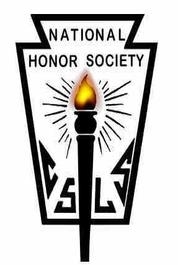 The goal of the Islesboro Central School NHS Chapter is to recognize students who, in comparison to their peers, exhibit top scholarship, character, leadership, and service. Each year, the chapter advisor reviews transcripts and will notify all students with a cumulative GPA of 90 or higher of their eligibility. Interested students are required to submit a Student Activity Form which can be found below. Staff are asked to complete a Faculty Evaluation on the eligible candidates as well. The five member Faculty Council will then convene and review the eligible candidates. To gain acceptance, students must receive a majority vote. Students will then receive a letter informing them whether or not they have been accepted into NHS. Juniors will have another opportunity their senior year. Denial letters will be based off the form provided by NHS, mimicking the lack of feedback received during the college and job search process. If students want more personal feedback, they should speak with the chapter advisor or guidance counselor. The selection procedures are in keeping with those recommended by NHS and has been discussed with chapter advisors at Belfast Area High School and Camden Hills Regional High School. NHS admittance concentrates on four areas: scholarship, character, leadership, and service. Here is how the Faculty Council reviews those components. Scholarship: The student must have a cumulative GPA of 90 or higher. Additionally, the Faculty Council considers the rigor of the student’s course load, looking to see if the student has taken any courses for Honors credit and if the student has gone beyond the minimum course expectations for graduation. Character: The Faculty Council reviews school discipline infractions, recommendations to academic support, and any legal citations. Additionally all staff are asked to evaluate students on the Six Pillars of Character – trustworthiness, respect, responsibility, fairness, caring, and citizenship. The Six Pillars of Character have been identified by Character Counts! an organization cited by NHS. Leadership: The Faculty Council recognizes that ICS is a small school. Students can be recognized for leading by example, and for more traditional leadership roles such as captaining a sports team or holding office in Student Council. Faculty also recognize leadership roles in the classroom through group projects and class discussion. Service: The Faculty Council considers whether or not the student has done the minimum amount of service as required for Portfolio or if the student has gone beyond the required five annual hours. The Faculty Council also considers the type of service the student has engaged in and with what frequency. Student Activity Form– When completing the form, students should highlight their accomplishments. If students have questions about completing the form, they are encouraged to meet with the chapter advisor prior to the deadline. Late Activity Forms will not be considered.